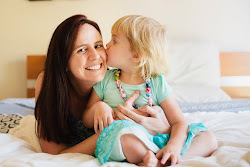 Continuing on with my recent theme of interviewing fellow Adeladian bloggers – today I’m pleased to welcome, mother of three and Early Years teacher Nichole from You Clever Monkey. She has the most gorgeous, rainbow, eye-catching logo for her blog (see how it came about here) and I absolutely love getting inspired from her activity ideas – not only in the classroom but with her children. 1. Where in Adelaide are you from? I’m actually from country SA but moved to Adelaide after high school to attend university. We moved from Plympton back to the country five years ago just before the birth of our third child. 2. Where did the name of your blog come from and when did you start blogging? 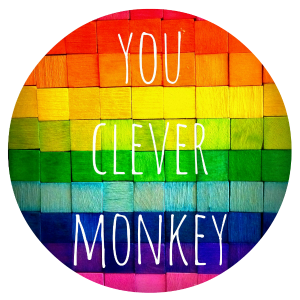 I don’t actually remember where the name ‘you clever monkey’ came from, I think it was something my mum used to say when she was happy with the work or effort we put into something. 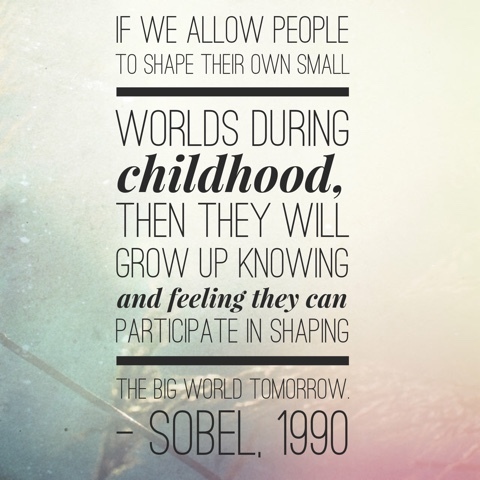 I started the blog when I went back to university to study teaching as I was curious about how blogs worked and it was a valuable self-reflection tool. I thought about changing it when I came back to blogging after I started teaching but really couldn’t think of another name that wasn’t already taken that still suited the type of blog it was becoming with time. It seems to be heading more towards school based posts lately because that’s where I’m spending so much of my time right now. Not long. This year is my first year teaching full time. For the three years before that I’ve worked a mix of short term long contracts and relief teaching. 4. What age group do you teach and how old are your children? I’ve taught teach preschoolers up to Year 2 so far. My own three children are 6, 9 and 11. 5. Your recent post ‘Printable Desk Mats’ has been doing really well on Facebook lately – I see it pop up all the time. I think it’s so great that you have free printables available on your website. What are you top 3 most popular printables? I’ve got quite a few more I’ve made for class recently so will be adding them to the blog when I get a chance. You can find all my printables now in the one place. 6. 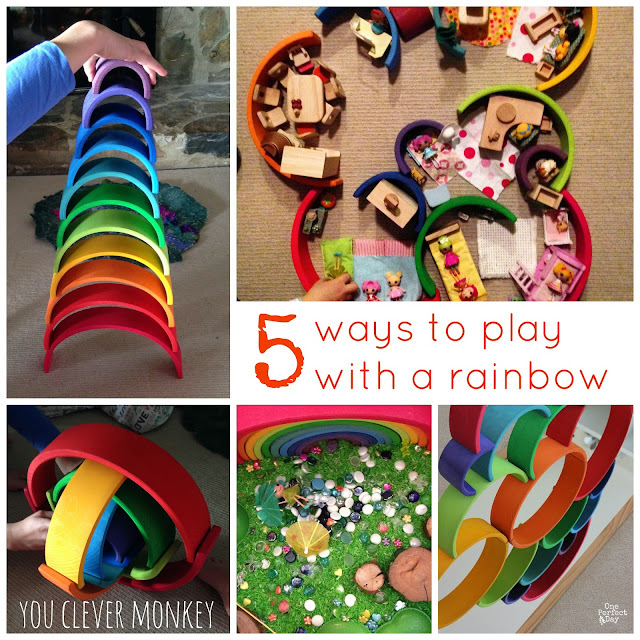 I think you and I share a love of all things rainbow. It was this post ‘Rainbow Stacker 5 Ways’ that first caught my eye and introduced me to the Grimms wooden rainbow stacker – I have the medium size one for Miss M.
Can you explain the importance of open ended play which toys such as this encourage? No real tips. I’ve have a few posts that have been shared by educators in the US and the UK which have bumped my FB numbers along. I’m not always posting new content on the blog now that I’m teaching full time so I will sometimes share older posts on other FB pages. A lot of my posts are evergreen so I can share something I wrote a year ago like my line rocks and still see new people commenting on the post. 8. How did you spend the school holidays? Relaxing at home mostly. We’d been to Melbourne in the last break so everyone was very ready to stay and play at home. The kids took over the lounge room floor for the duration so that meant dodging three different Lalaloopsy houses most evenings so they could just get up and restart their play the next day. Thanks so much for your time Nichole! Here's where you can find Nichole on social media.